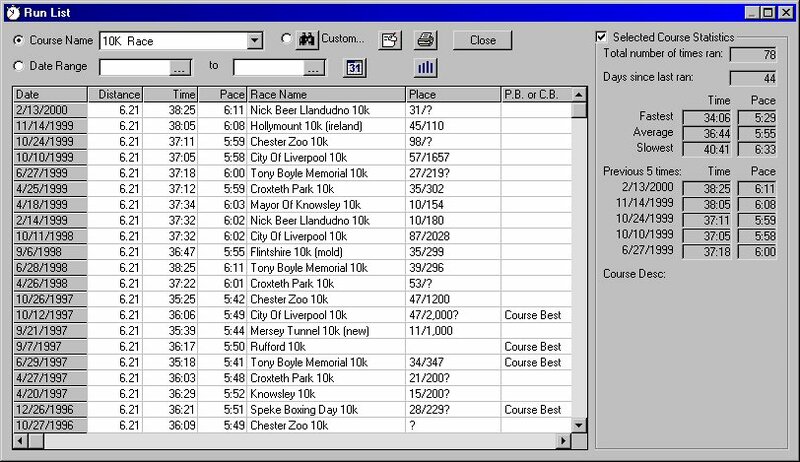 The Run List windows shows you every time you've run a specific course or you can do a custom search to list runs based on any criteria you choose. You can sort the results by any column simply by clicking on that column header. 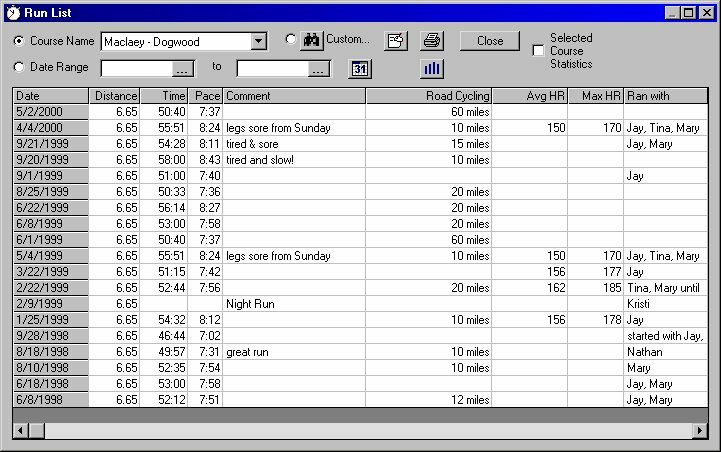 You can also use the Run Times windows to track your races.